As a Neural Engineering Ph. D candidate, Michael Palazzolo designed a virtual reality video game for primates. The data he collected was used to construct statistical models that charted the relationship between arm movement and vision to brain activity. While he enjoyed the interesting work – especially the parts that involved modeling and programming – at some point, it became evident that a career in academia wasn’t his desired path. He began seekings ways to fuse his academic expertise and experience with other desired skills. He decided to go the route of the data science bootcamp to accomplish those goals, attending Metis before landing a job as a Data Scientist for the multinational IT company HCL Technologies just two months after graduation. He’s since moved on and is now the Head of Data Science at Appuri, a startup in Seattle with the mission of helping companies minimize the problem of customer churn. The city has been a great place to formally launch his data science career, according to Palazzolo. “Seattle is exploding in the data science space and many tech companies are opening remote offices to take advantage of the talent here,” he said. 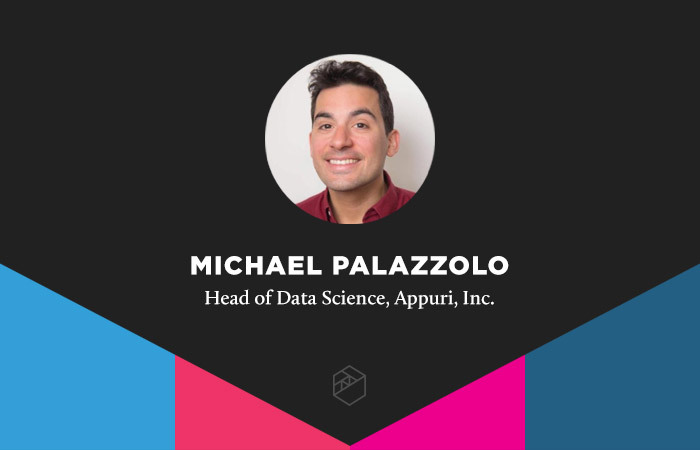 At Appuri, his role is built around helping businesses grow intelligently with a platform that uses data science to predict customer health, churn risk, and likelihood to up-sell. His role allows him to do something he loves to do – analyze human behavior. He uses that natural passion, along with a mix of data science skills and business acumen, to devise and perfect new tools to deliver insights for Appuri’s clients. He built up or honed in on many of those skill sets while at Metis, and also notes that the curriculum and instructional staff provided immense value in terms of access and demystification of the field. “As an aspiring data scientist, it is often hard to talk with established people in the field to determine how to get traction for that first job. The instructors at Metis filled that void,” he said. In order to maximize the bootcamp experience and get the most of out of the learning materials, instructors, and built-in network, he advises incoming students to buckle up and commit fully.